Metafence are at the forefront of perimeter security solutions. As commercial fencing contractors we can provide expert security fencing and Gate automation solutions to meet the requirements of a broad range of commercial, industrial and local authority clients. Our central head office in Reading, Berkshire has allowed us to reach across the south of England and to remain competitive for all clients to ensure as a fencing contractor we can assist. we can provide all ranges of fencing from timber fencing, chainlink fencing, acoustic fencing, steel fencing, palisade fencing and armco barrier to name only a few of the fencing sytems we are able to offer. We are also very proud to offer gate automation and access control systems all in house from initial enquiry through to after care with planned maintenance and service. Our teams of highly skilled engineers with fully equipped mobile workshops will attend site and provide the service with minimum disruption, allowing you to continue with your everyday business. 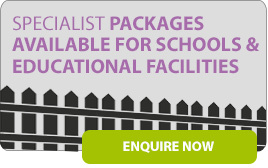 We work closely with contractors, local authorities and schools to offer our services from survey, design and through to installation of a wide range of perimeter fence systems.